Author Aisha Brackett, was born and raised in Chicago, Illinois and currently lives in the Chicago south suburbs with her tribe of miniature souls. She has a background in Christianity, including becoming a licensed Christian Minister, but has spent the last eight years following a non-structured spiritual path. ​She has been studying religion, enlightenment, awareness, and metaphysics, extensively, since she was twenty years old. 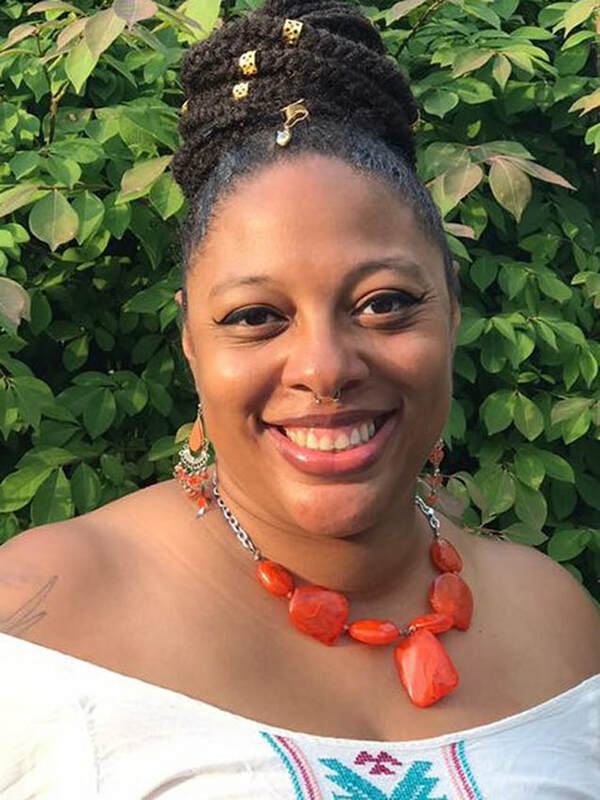 Aisha has spent the past twenty years performing physical healing as a certified wound care nurse and mental/emotional healing as a spiritual counselor and life coach. “Earth is a school where we come to learn spiritual lessons. Sometimes, we need reminders that we are direct descendants from Divine Source and all of our surroundings, including ourselves, come from God. 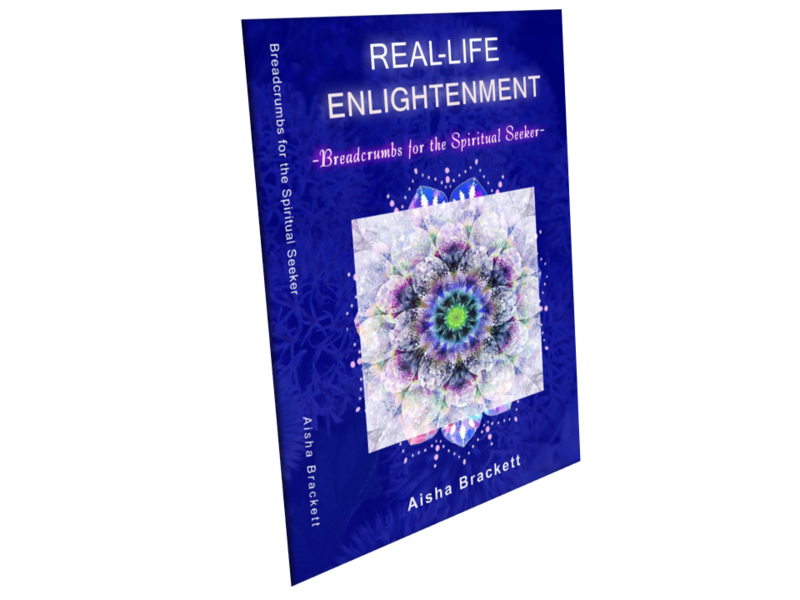 All roads eventually lead back to God and this book is about the journey home..
Real Life Enlightenment explores the mind-set of living an enlightened life in a modern world. 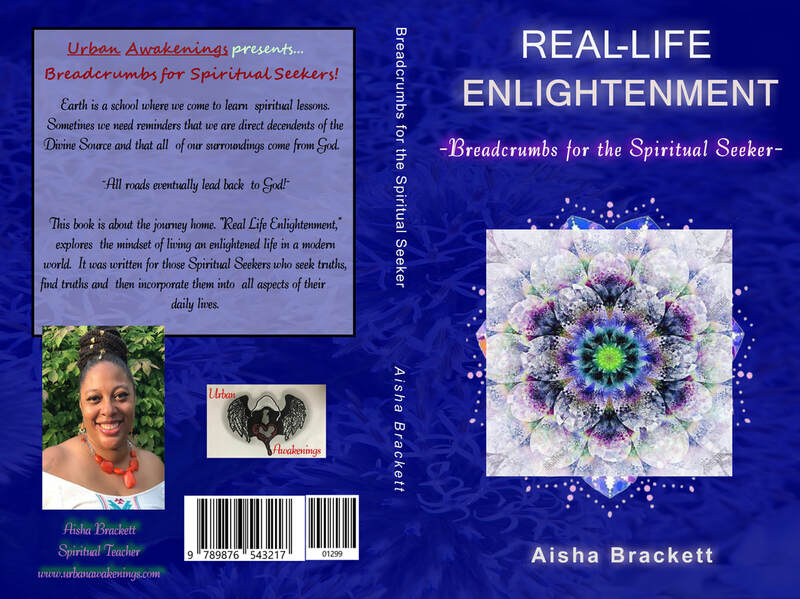 It was written for those spiritual seekers who search for truths, find truths, and now have to incorporate them into their daily lives of jobs, family life, and responsibilities..
Real Life Enlightenment, Breadcrumbs for the Spiritual Seeker!